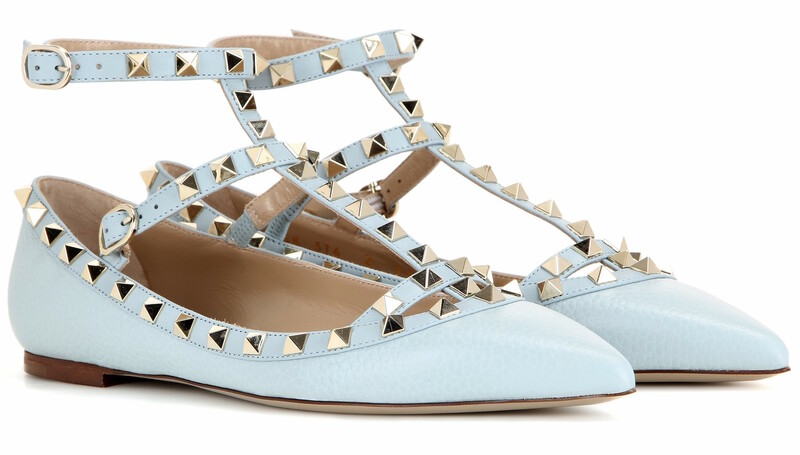 The Valentino Rockstud shoes have been popular for many, many seasons now, being worn by celebs, fashion bloggers and general all round fashion lovers. There’s such an array of different Rockstud shoes in various heel heights and designs as well as a huge selection of colours and combinations to choose from, so these shoes are here to stay! For the Summer 2016 months though, they have released some brand new sandals in flats or heeled varieties, and much more! Most of which have made it to my wish list! They even have the brand new stars and turquoise stones collection called ‘Starstudded’ which is absolutely gorgeous! The Valentino Rockstud is iconic now, showing off the gorgeous metal studs which grace the straps of the shoes and the two tone leather which just looks so luxurious and classy, you can’t get enough of it. I personally own the burgundy and black combination in the 100mm heel, which are stunning, but I definitely want to add the sandals to my collection, that’s for sure! If you want to step into Summer with some new shoes that are perfect for the beach, evening walks, lunch with the girls or date nights, then you definitely have to have one of these 14 new pairs of Rockstud shoes. Each one is different and the new colours just scream hot weather. I’m thinking of the beach and romantic nights just from looking at them! Which pair do you like the most? Let Fashion Runway know! You can shop them all below! Main image courtesy of SarahStylesSeattle.com. wow,so many new style of valentino shoes here,love them a lot.